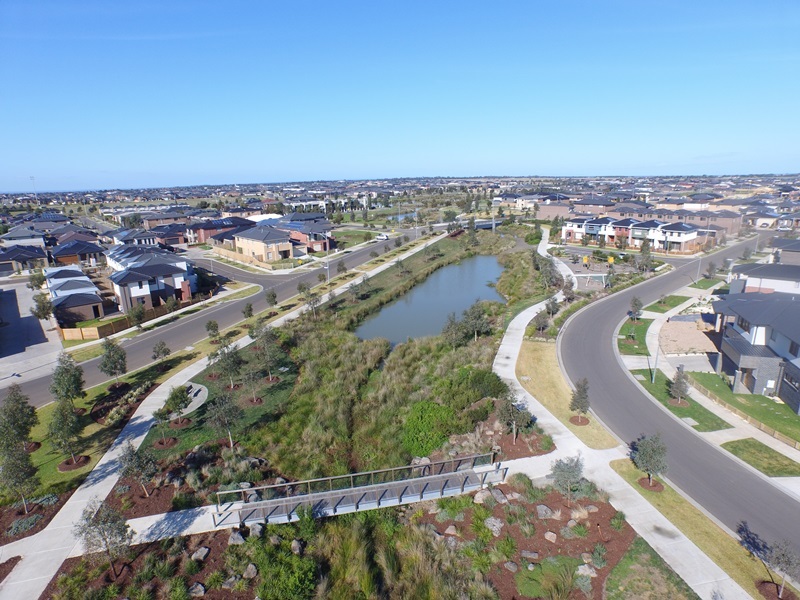 Featherbrook’s new Parkbrook Precinct is located West of Melbourne in Point Cook. There are over 30,000 plants and 120 trees planted throughout this channel with feature rock work and mulched garden beds along the concrete paths. Plenty of seating to relax and admire the bird life. On the south side of the reserve is a children’s playground with a feature designed concrete edge ribbon wall flowing in and out of the play equipment. It was a bit of a challenge getting the curves right on the ribbon wall but our team got it spot on. The project was completed in May and is now handed over to our Maintenance division to continue to provide the gold class service UDL are known for.